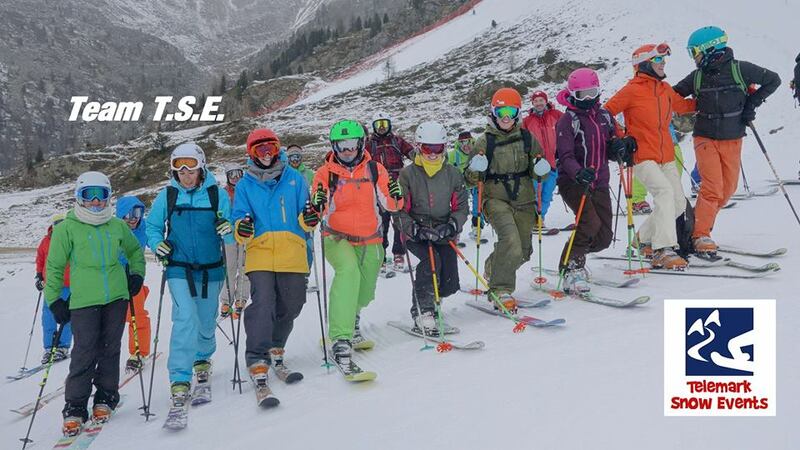 Telemark snow events was celebrating their 10th anniversary with this events, for which occasion the president of TSE Mariano Valcanover had a welcoming speech and resume of 10 years of telemark in Val Senales. Ricardo Torri and Ilaria Valcanover presented the results of the questionnaire comparing answers what telemark means to the people passionate about it. Giuliano Pederiva and Annaliza Diloreto were talking about the physical body position related to telemark skiing and its evolution, presenting the latest method "Telemark experience". On the 3rd of December the evening program was reserved for the life story of legendary Giorgo Diadola and his unique telemark experiences across the globe including descents from 8000m peaks on the Himalaya, back in the 80's. 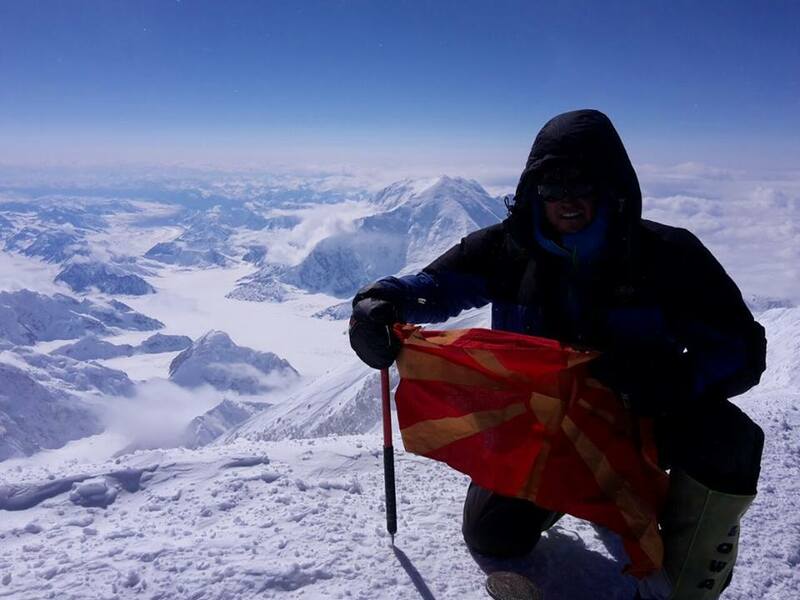 Same evening Macedonian climber and telemark skier Ilina Arsova had a premiere talk and video show from the latest telemark ascent to Denali, 6195m - highest peak of north American continent. The event was fun, educative and efficient with many new friendships between international telemark promoters and many newborn passionate telemarkers who are just about to spread the word..
July 2006, my first contact with a big icy mountain. Exactly 10 years ago with members of the mountain rescue unit from the Macedonian Red Cross, we have reached the beautiful Mont Blanc summit 4807m. as a highest peak of the Alps and Western Europe. That was the beginning of an intense addiction and desire for spending more time at altitude, thin air and snow. All my future plans went in direction of climbing and mountaineering, although that was not my priority at the time. After having spent almost two years climbing and mountaineering around Asia (2008-2009), reaching the first 5000m and lots of rock climbing routes, the appetites were growing together with the heights. By the end of 2009 with my partner Ilija Ristovski we had already experienced dozen of 3000 - 5500m peaks in China, Turkey, Indonesia & Kazakhstan. Traveling and working at the same time was not easy for supporting the passion of high altitude mountaineering, yet things were moving in right direction while challenging expedition trips were taking over our hearts and lives. The trip to Argentina in 2010 climbing Aconcagua with Ilija, was a crucial chapter for me. This trip was extremely emotional and hard since my partner was urgently hospitalized due to infection which occurred while the acclimatization preparation at mt. Ballesitos (5500m) near Mendoza. By mutual agreement I ended up climbing Aconcagua alone, carrying my own tent and food without any support. At the end we were both happy with the result, summiting in solo style and only 6 days time. 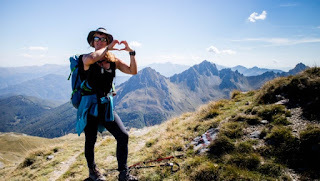 Aconcagua was a famous story in Macedonia as a first Macedonian lady on 6963m, which was a good promotion for the mountain sports in the region and refreshing motivation for other female athletes. The passion for steep climbing in combination with altitude, resulted with another intense training on the Alps, in 2011 where again with Ilija we climbed Mt Blanc, Breithorn and Matterhorn. This was the first Macedonian ascent on Matterhorn from Leone ridge as well as first Macedonian woman on this beautiful Alpine pyramid. Same year together we have accomplished one big and challenging project, Ama Dablam 6856m with the expedition of a British leader Tim Mosedale. Ama was an exceptional experience for both of us, bringing us to a higher level of high altitude experience and technical climbing on steep icy terrain. Ama Dablam is the dream of many climbers and for sure it was ours. The mountain is powerful, dangerous, yet aesthetically beautiful and it gave us strong feeling of respect and motivation. From the summit of Ama Dablam, for the first time we have made visual communication with Mount Everest across the way, when I had my first stronger inner feeling that I can do it next. Before attempting Everest I felt motivated to make some more altitude experience, while fighting the battle to fund rase the money for it. In meantime I have organized a small Kilimanjaro trip in 2012 and an attempt for Denali in May 2012, another unsupported private organisation with my partners Ilija and Nadir. 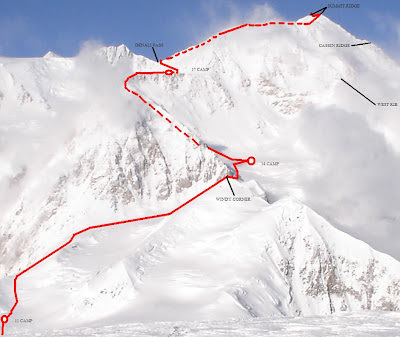 Denali ended with maximum altitude reached of around 5100m, due to bad weather, intensive snow storms and avalanches which caused accidents and deaths. Denali remained a special mountain for all of us and a very strong experience, which I knew one day I will repeated. Finally 2013, the terrain was ready for launching the project First Macedonian woman on Everest which besides being a personal dream and a personal challenge, it was a National motivation as well. With this step the level of Macedonian mountaineering and alpinism especially among women was pushed further which effected positively in promotion of the sports and motivating the surrounding community. After 10 peaks over 5000m, and 2 close to 7000m, decent rock climbing and rope access experience, I felt technically prepared for the highest Earth's summit, Sagarmatha 8848m. After successfully climbing Everest, Aconcagua and Kilimanjaro the 7 summit project was keeping me restless to complete it. Elbrus 5642m, was the next target in 2014 where I went solo and for the first time in ski - telemark style. 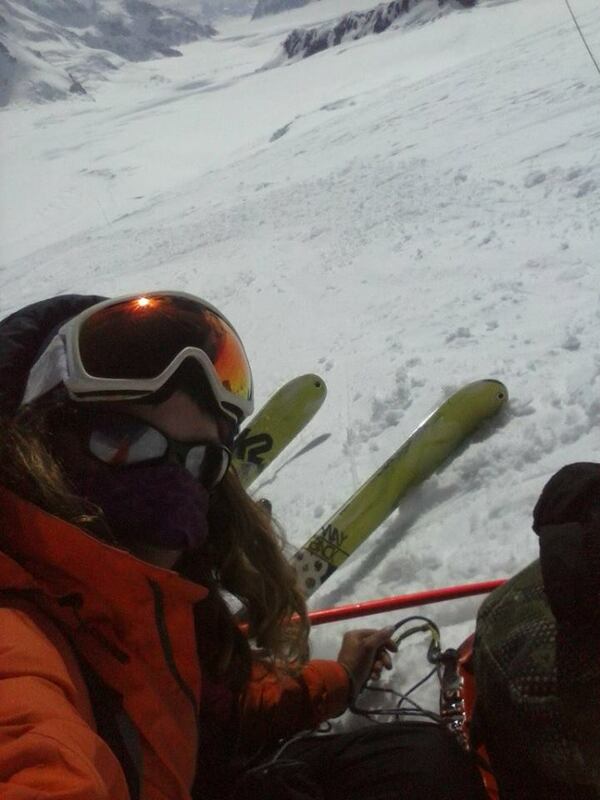 The new challenge was descending big mountains on skis, so Elbrus was a good practice. Every mountain is different and there is no space for underestimation. Elbrus was another exceptional story. I tried to summit in 4 days with skis on my back and bad weather. Due to fear in low visibility and lack of acclimatization, I have turned back from 5600m just bellow the summit, to return again two days later and climb the summit after being encouraged by my father. Speaking with him on viber from Cheget village he informed me that the forecast is improving, I am already acclimatized and if I don't try the summit again, I will regret the rest of my life :) That is how I ended up climbing the mountain twice in a week dedicating a small summit video to my parents - my biggest support ever. Few more trips followed the last years. As I usually go unsupported with low budget due to lack of sponsors, trips were depending on financial possibility. Skiing from altitude was the new passion driving me in the last 2 years since I started Telemark with Italian crew of TSE. The Alps became a regular destination for training, but also in 2015 we did a pure female international team to explore freeride and backcountry possibilities in Iran, as well to empower the culture for women in sports in this biblical country. Skiing telemark from Mera peak 6476m in Nepal, was the second project in Nov 2015 and my personal record for high altitude skiing. Mera was also a good preparation for Filip and me, planning the Denali ascend which finally happened in May 2016. 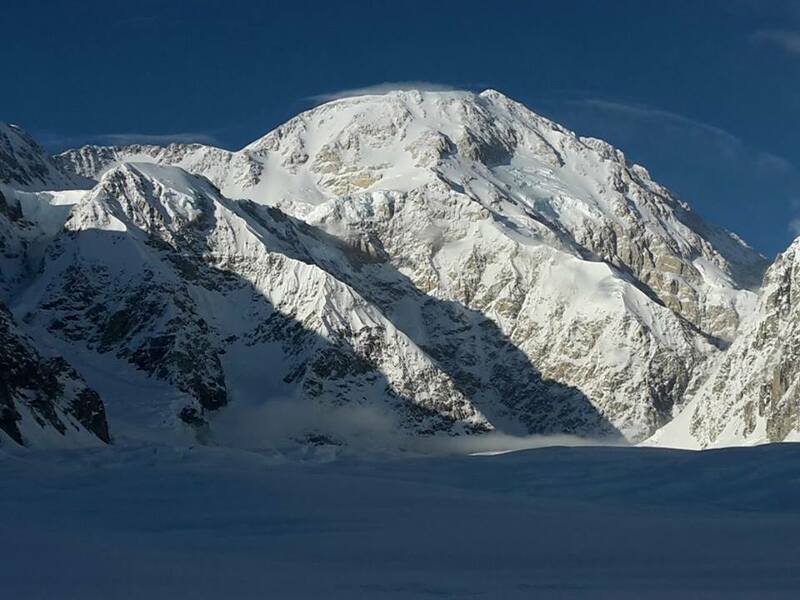 The North American giant Denali 6194m, was the 5th out of the 7 summits list and coldest mountain I have ever experienced. We summited in good visibility but strong winds on the 24th of May 2016 together with my partner Filip Vasileski, after 17 days on the mountain. The weather was rapidly getting worse with new snow storm coming in. I managed to go down the same day till camp 4 (4350m), with mild frostbites on the nose, fingers and toes. Filip and another 5 climbers got trapped in the storm and stayed up at high camp (5250m) another 3 days sharing gas and food waiting for the winds to come down. Officially we successfully ended up our mountain trip on the 29th of May, arriving to Talkeethna town.